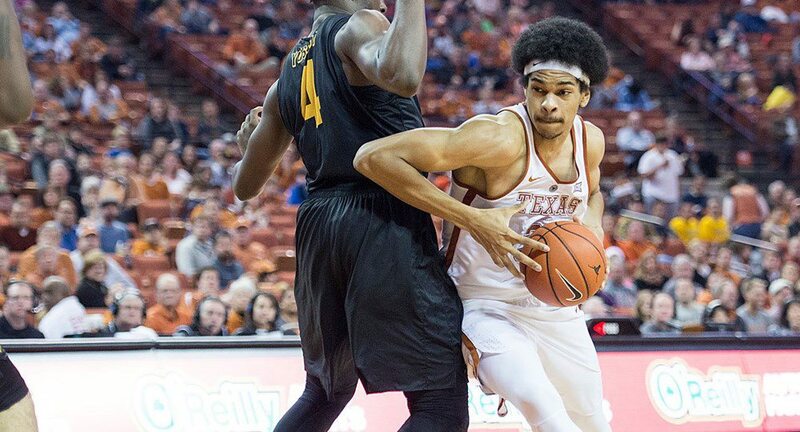 Freshman Jarrett Allen scored a team-high 17 points, but the University of Texas men's basketball team fell, 77-62, Monday at West Virginia (photo courtesy of texassports.com). MORGANTOWN, W.Va. — Four Texas Longhorns scored in double figures, but two West Virginia players scored more than 20 points, and the No. 12/13 Mountaineers were able to make a 16-point halftime lead hold up en route to a 77-62 victory Monday over UT. With the loss, the Longhorns fell to 10-18 this season, including 4-11 in Big 12 games. WVU improved to 22-6 overall, and 10-5 against conference opponents.